Rebel Hart should be at home taking care of her father after his breakup with his boyfriend, not tromping through the woods at summer camp. He’s had his heart broken beyond repair, and the way she sees it, there’s only one person to blame—the boyfriend’s son. So when that infuriatingly gorgeous quarterback turns up at the same camp, she plans to make him pay. Justice Brody isn’t happy about trading training camp for actual summer camp. But if he wants to stay on the football team, he has to show that he can be drama-free. He welcomes the anonymity that comes with summer camp…until he realizes the one girl who knows him better than anyone is there, too. 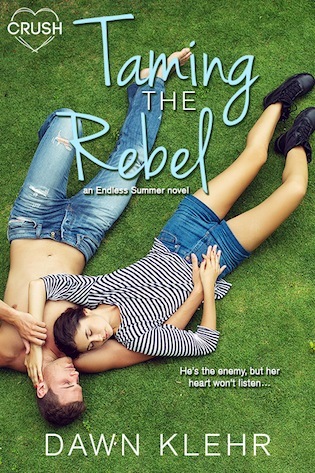 Rebel is off-limits, impossibly beautiful…and trouble with a capital T. Still, he can’t stay away. And even as Rebel exacts her revenge, in several very embarrassing and painful ways, neither can she. 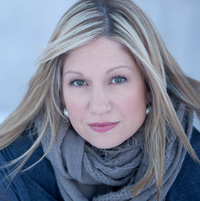 Dawn Klehr is the author of the young adult thrillers: The Cutting Room Floor and If You Wrong Us. She began her career in TV news and though she’s been on both sides of the camera, she prefers to lurk behind the lens. Mostly, she loves to get lost in stories –in film, the theater, or on the page – and is a sucker for both the sinister and the sappy. She’s currently channeling her dark side as she works on her next book. 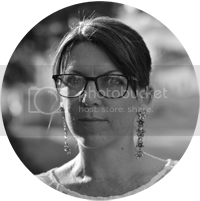 Dawn lives in the Twin Cities with her funny husband, adorable son, and naughty dog.